Saturn eclipsing the sun for Cassini. The spacecraft’s historic series of dives into the narrow gap between Saturn and its rings yields treasure trove of new data. On September 15, 2017, having completed a series of 22 daring elliptical orbits between Saturn and its rings, NASA’s Cassini spacecraft headed into the hydrogen-rich atmosphere of the ringed planet. Cassini was low on fuel and this plunge to destruction was designed to gather the most data possible while sparing the moons of Saturn. The spacecraft was traveling about 77,000 miles per hour, 930 miles above Saturn’s clouds when NASA lost contact. About a year later, an early wave of scientific papers has been published from Cassini’s “grand finale,” and they reveal important confirmations, advances in scientific understanding, and quite a few surprises. A few of the findings from Cassini’s direct sampling: complex organics rain down from Saturn’s rings; inner-ring particles take on electric charges and travel along magnetic-field lines; newly revealed electric-current system and radiation belt; and up-close measurement of Saturn’s near-zero magnetic-field tilt. Cassini’s grand finale revealed that 22,000 pounds of particles and gases from Saturn’s rings are “raining” down into the atmosphere every second – more than expected. Some of these particles take on an electric charge and fall along the planet’s magnetic field, while others do not take on a charge, and move quickly to the equator. The particles are unexpectedly small, essentially dust, at nanometers in radii. How exactly these ring particles, which start out larger, are ground into dust-sized nanograins leaves scientists with a mystery to solve. The particles are primarily water ice, with embedded organics. Silicates, which make up less than five percent of Saturn’s rings, represent about 30 percent of the infalling nanograins. In addition, Saturn’s rings are connected to the planet’s atmosphere via electric current. The mission provided curious new details about the planet’s unique magnetic field, which has an axis about 0.008 degrees tilted from the spin axis, compared to Earth’s 11 degrees. This is significant because the degree of tilt was thought to play a crucial role in the formation of magnetic fields. “That’s a puzzle, because we think that you need that tilt to maintain the currents inside the metallic hydrogen deep inside Saturn,” said Spilker, in a January appearance on the Gravity Assist podcast, hosted by NASA’s Planetary Science Director, Jim Green. 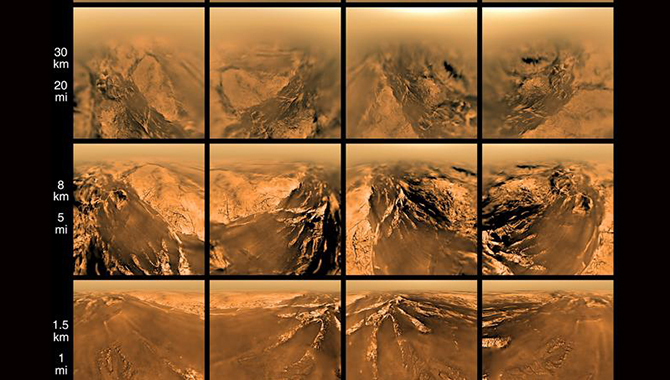 “And so, maybe, just maybe, we’re watching a magnetic field become slowly extinct on Saturn. Or maybe something that we haven’t thought of yet is hiding or masking the magnetic field and what we see just looks like a very well lined up dipole. So, we’re not sure. We’re continuing to study and tease it out that those two axes appear to be getting closer and closer aligned as we go deeper into the data,” Spilker said. Cassini is one of the largest unmanned interplanetary space craft ever launched, at 22 ft tall and 13 ft wide, with a mass of 4,740 lbs. 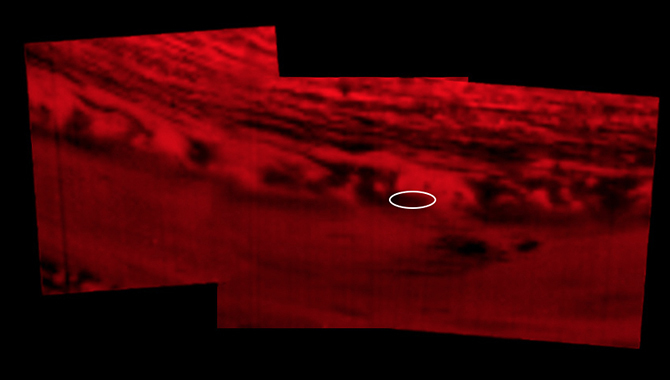 The research also found rapid longitudinal variations in Saturn’s magnetic field, which are possible evidence of a complex system with both a “deep dynamo” and a smaller scale “shallow dynamo” in the background. In an earlier mission, Cassini sampled eerie radio emissions from the planet, while flying above the magnetic poles. This doubled the direct measurements scientist have as they seek to understand how the waves are generated. NASA launched Cassini and the accompanying Huygens probe atop a Titan IV rocket from Cape Canaveral on October 15, 1997. It took Cassini six years and 261 days to reach Saturn, where it had a prime mission of just three and a half years. 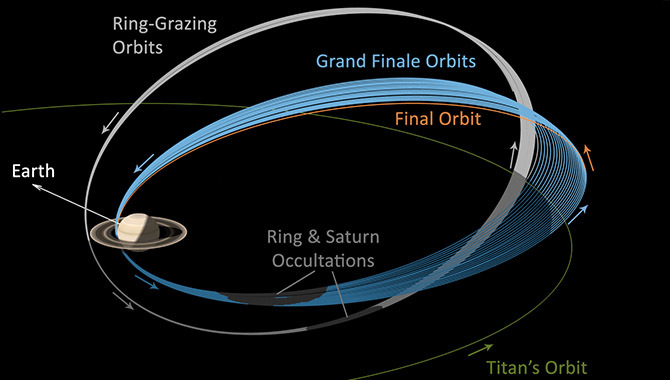 But Cassini proved to be a long-lived spacecraft and two mission extensions, and the grand finale were added. Cassini is one of the largest unmanned interplanetary space craft ever launched, at 22 ft tall and 13 ft wide, with a mass of 4,740 lbs. 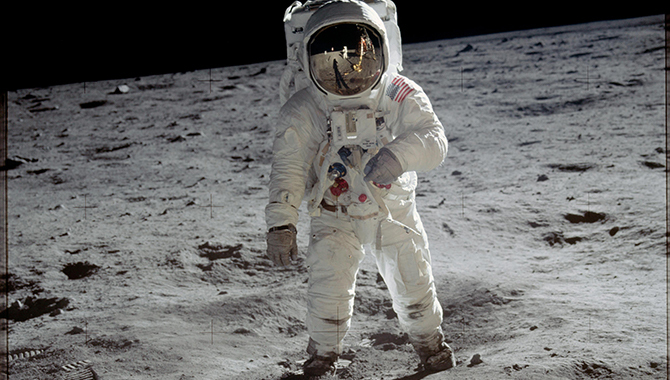 Owing to the complexity of its mission, the orbiter had more than 1,600 electronic components on board, connected by about eight miles of cable. The spacecraft was equipped with an impressive array of spectrometers, magnetometers, and other scientific equipment to better quantify the properties of Saturn and its largest moon, Titan. 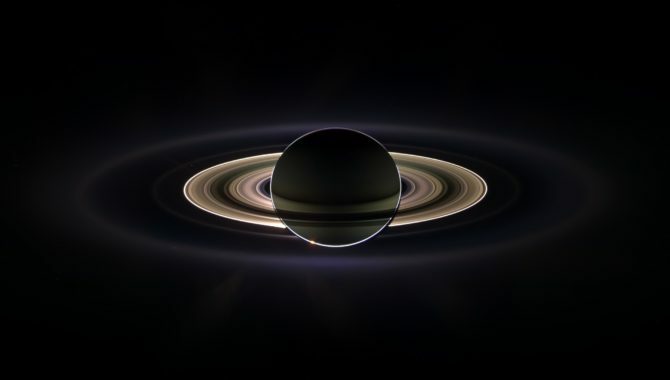 Cassini orbited Saturn 294 times, sending back 453,048 images over its 20 years in space. By the time it entered Saturn’s atmosphere, Cassini had traveled 4.9m billion miles. Scientist will continue to study data from Cassini’s grand finale for years to come. The understanding that will emerge from this work will add to the spacecraft’s impressive legacy. Cassini led to fundamental changes in human understanding of Saturn, with the discovery of new rings and moons, as well as an ocean of liquid water below the ice surface of the moon Enceladus. This ocean could be hospitable to life. Cassini was also responsible for the discovery and sampling of jets of liquid water on Saturn’s moon Enceladus. The latest research was published in the October 5, 2018 issue of Science, which is available online.